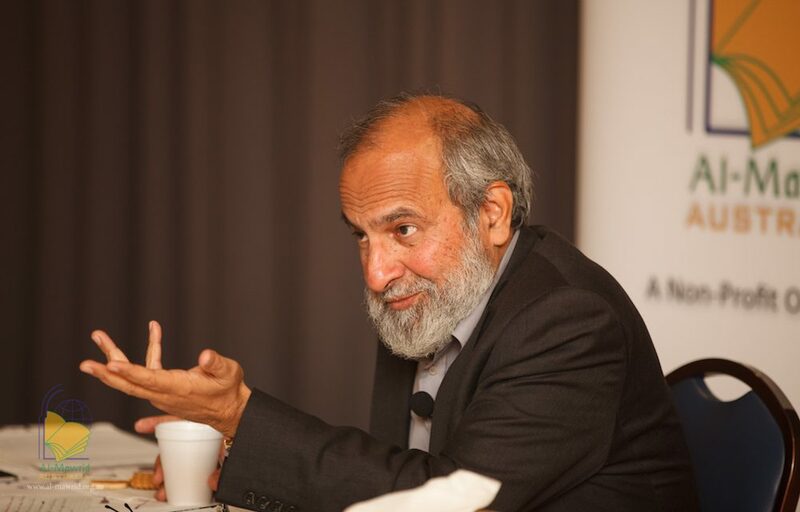 Caption: Dr Khalid Zaheer articulating his point in Melbourne. 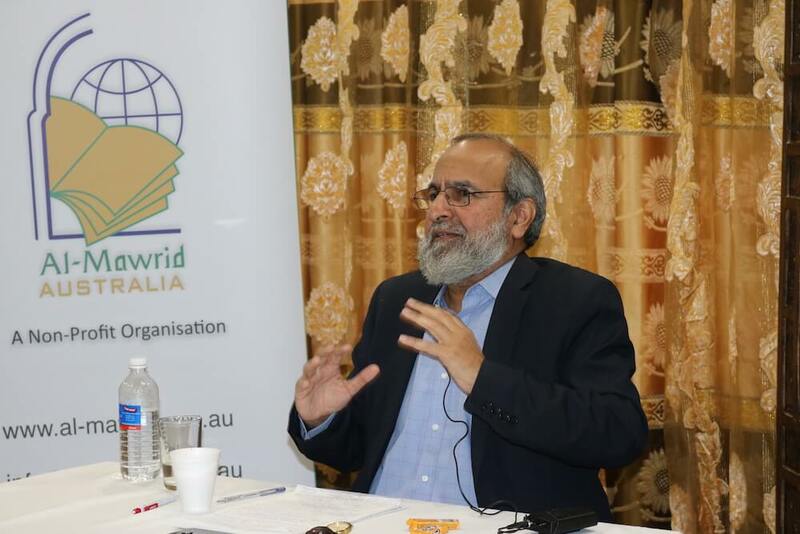 The renowned Islamic scholar and writer, Dr Khalid Zaheer paid a whirlwind tour of Australia from 22 April to 1 May visiting all major cities of Australia conducting day-long interactive sessions while addressing key issues in reference to Islam and Muslims. 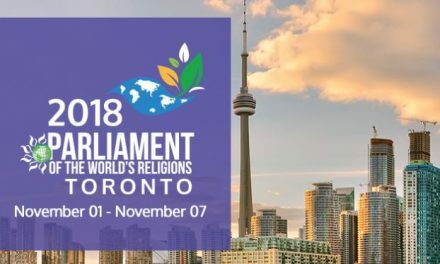 Dr Khalid Zaheer is the Vice President of Al-Mawrid Institute of Islamic Sciences, Lahore, Pakistan and has a PhD in Islamic Banking from the University of Wales, UK, as well as an intensive formal religious education in Islam. He was invited by Al-Mawrid Australia, a chapter of Al-Mawrid Global, an organisation dedicated to Islamic research and education. 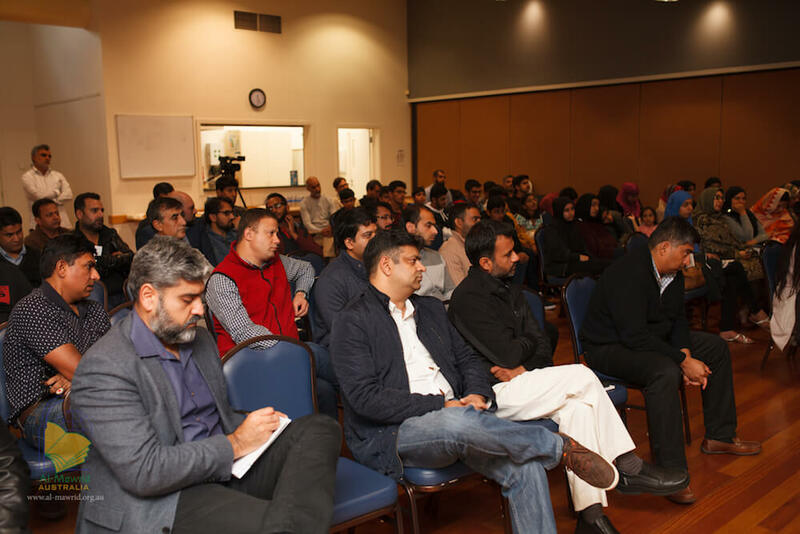 With a deep and incisive understanding of contemporary issues dealing with Islam and modernity, Dr Khalid Zaheer talked and answered questions on a great diversity of topics during his Australian Tour. Dr Zaheer’s tour started with the first event in Brisbane on Saturday 22 April at Griffith University where he gave an informative lecture on the root causes of extremism and misinterpretation of many Islamic concepts with distorted narratives. The lecture was following by a long Q&A session to further tease out the real concepts. Dr Khalid Zaheer speaking at his Sydney sessions. 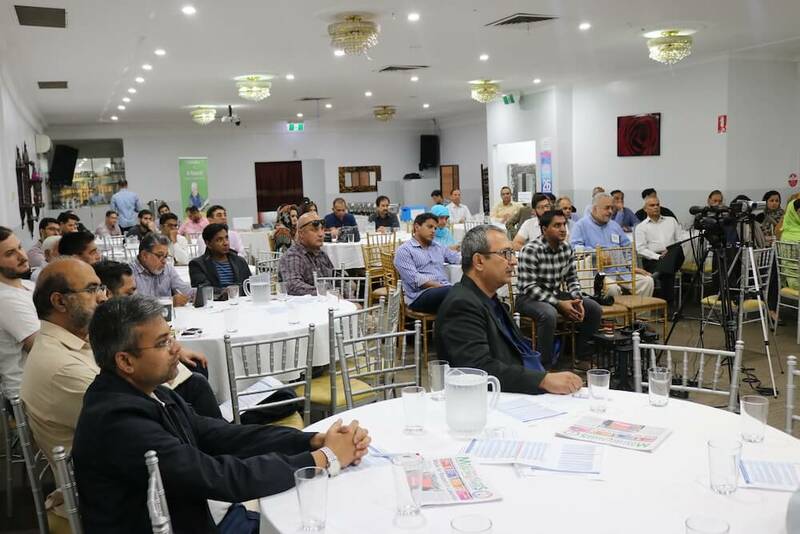 The Sydney event was held on Sunday 23 April at Himalaya Restaurant in Granville from 10 am to 4 pm attended by more than 250 people. The day was divided into four hour-long sessions with breaks for refreshments and lunch. Each session was allocated to a contemporary topic with ample time with direct questions that Dr Zaheer very competently answered in detail. Dr Zaheer with a charming personality, full of confidence with comprehensive knowledge and skilled with a good projection of voice, method of delivery and clear English accent managed to keep the audience engaged stimulating their minds with critical thinking. He talked on Quran and approaches towards its study, the difference between Rasool and Nabi, divine punishments and natural calamities and “Jihad, a misunderstood concept”. He emphatically condemned terrorist activity by individuals and groups who justified killing of non-Muslims as well as Muslims with their distorted narrative on the concept of Jihad. An attentive audience at Himalaya Restaurant, Granville. Dr Zaheer was invited for further private sessions in other parts of Sydney during his stay here. One of them was to meet Dr Qazi Ashfaq Ahmad in Bonnyrigg, who was highly impressed by his recent book, “Rediscovering Islam, A fresh Islamic Perspective on contemporary key issues”. During the conversation, while bridging the historical gaps between India and Pakistan, they talked of their common acquaintances including Allamah Farrahi, Amin Ahsan Islahi, Dr Israr Ahmad, Maulana Maudoodi as well as Javed Ahmad Ghamidi. Dr Zaheer talked of his family that belonged to Delhi but migrated to Pakistan and his grandmother being the popular Urdu novelist, A R Khatoon. Dr Khalid Zaheer was in Canberra on Tuesday 25 April holding sessions at Gungahlin Public Library. 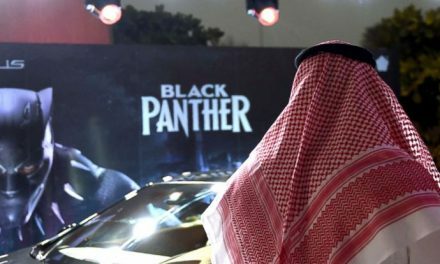 He commenced his talk with an analysis of how the extremists justified their actions and viewpoints with wording from the Quran before rebutting their arguments with a deeper understanding of the Quran. 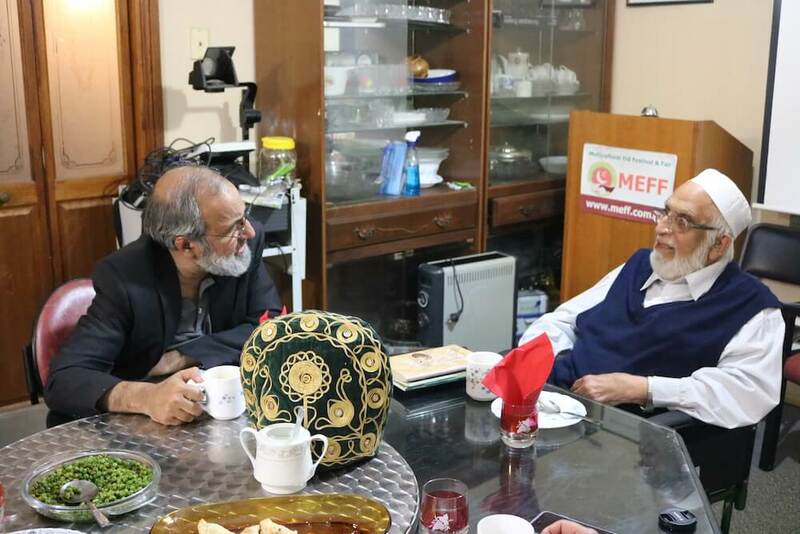 Dr Khalid Zaheer in discussion with Dr Qazi Ashfaq Ahmad in Sydney. He said that understanding the rationale of extremism is the first step in formulating a response from an Islamic perspective. “We need to convince ourselves, honestly, that the arguments supporting the alternative point of view are making sense, are genuine, (and then) let us promote this understanding,” he challenged the audience. The Melbourne part of the tour was organised on Saturday 29 April from 10 am to 4 pm at Central Park Community Centre at Hoppers Crossing. Around 70 people came out amazed and delighted after attending Dr Khalid Zaheer’s interactive sessions having changed the way they have been understanding the concept of Risalat and gave them a new dimension of thinking about this key concept in the light of Quran. The Session consisted of four lectures of 40 minutes each, followed by 20 minutes of Q&A session. Tea and lunch breaks kept people occupied with the discussions. 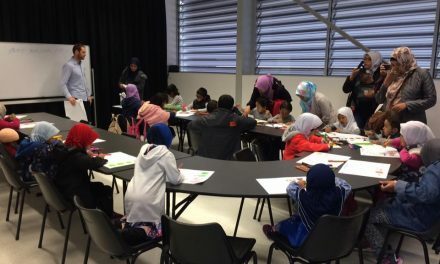 There were still many questions remaining at the time when the sessions ended and people, besides appreciating the efforts of Al-Mawrid Australia, insisted on arranging another visit of Dr Khalid Zaheer for a longer period. The Perth part of the tour was held on Monday 1 May at the Centre for Muslim States and Societies at the University of Western Australia on the topic “Shariah in Islam: what it is and what it is not”. Dr Zaheer emphasised that the Shariah (laws given by Allah and His messenger) and their interpretations are two different spheres and should be taken as such. “Within the study of secular law this difference is obvious, but within the Islamic tradition, it is not so. Great jurists of their times tried to understand and judge according to their interpretation of the Shariah,” he said. “The interpretations and judgements of the great Muslim jurists fall under the category of Fiqh and should not be mixed with the Shariah,” he further added. Dr Zaheer claimed that many of these interpretations and judgments that have not been reviewed, have stuck through the generations and have become as sacred as the Shariah. This attitude has been handed down to generations of Muslim scholars and thus has disfigured most of the Islamic Laws and affected Muslim thought process as well. The Perth lecture was jointly organised by the Centre for Muslim States & Societies (UWA) and Al-Mawrid Australia.